When can you expect your baby's teeth to start growing? Babies are the gift to everyone. A baby makes the life more interesting and joyful. They are the key to start and move our life with a motivation and ambition. It was really a wonderful experience and feel that starts from the day the baby has formed. During pregnancy, Starts from a tiny particle the baby grows day by day. Once being pregnant, mom can see the stages of baby’s growth periodically with the help of doctors. As the babies grow very quickly, mom can see the difference internally and can feel it. A lot of health care and nutritious food has to be taken and maintained for well growth. Once the baby born, more care is needed to take caring of baby. The teeth growth is important factor to consider because; the teeth help children to chew and to speak well. While in the womb itself, the baby teeth begins its growth. During the fifth month, the buds in the jaws begin to develop. And when the baby was born, the process of growing in the gums continues but it is not ready to erupt. The growth and the strength of the milk teeth of a baby depend on the mother’s healthy diet. 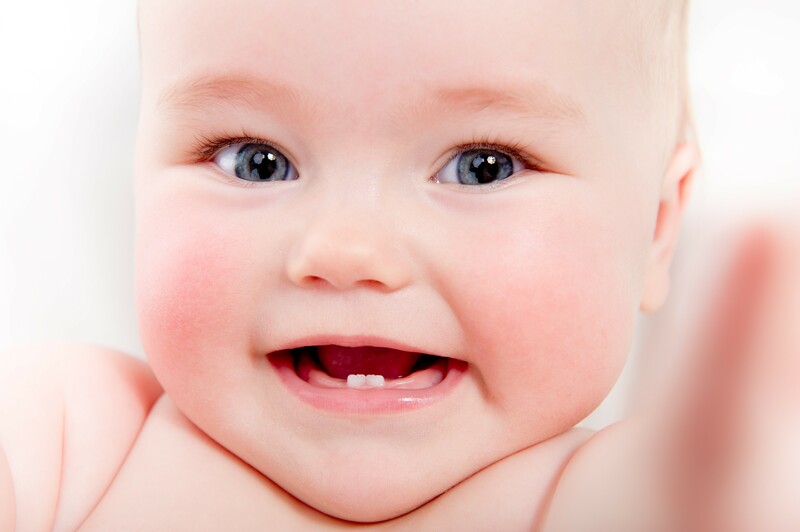 The baby tooth during development is also called as milk teeth or the primary teeth. During the month’s six to ten, the milk teeth are expected to erupt in the gums. Start from there, the baby will have twenty milk teeth at the age of three. And up to the age six to twelve years, the milk teeth will be there. As the digestion is based on how the baby eats, the entire health based on the proper development of the teeth. The normal eruptions of the baby teeth are like, at five to six months the central lower jaw begins to erupt and the upper jaw starts erupt during six to eight months. The lateral part of the lower jaw begins to erupt at seven to ten months and the upper jaw at eight to eleven months. And during the tenth to sixteenth month, the first molar erupts on both upper and lower jaws, and the second molar erupts at twenty months to one year. • The signs of the growing teeth will be seen actually before the baby teeth development starts and will lasts up to a month. • Sometimes the temperature around the baby’s neck and face starts increasing, and this is the great sign of internal growths. • The second sign indicates the swollen gums, during this stage or sign, the baby’s gums are little bit red than usual. • The third sign is the loss of appetite. • Sleep disruption is the common sign that seen on every infant. Due to the gum irritation on the time of teeth development, the baby faces trouble on sleeping. As teeth is the important health issue, starting from the initial growth, the baby’s teeth must be cleaned to prevent diseases. Encourage the child to make a healthy practice of brushing from the childhood itself.